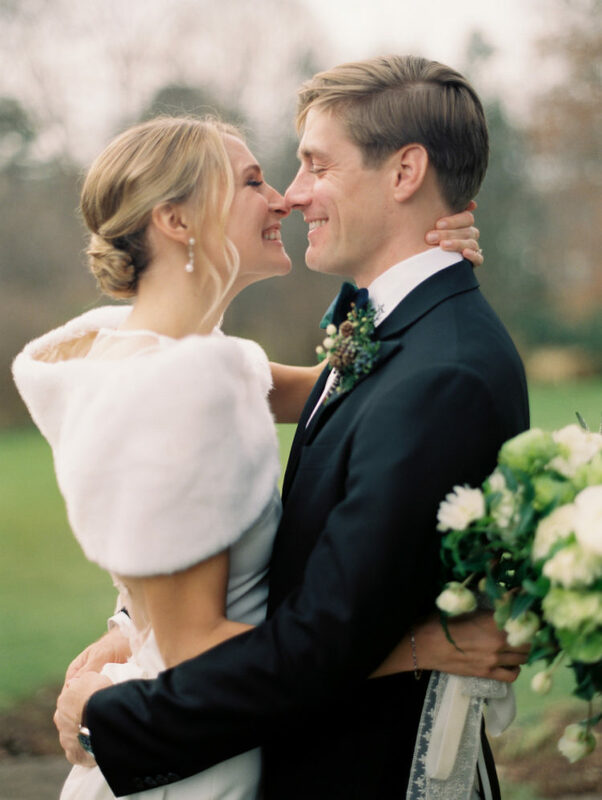 Winter is the time to enjoy stunning winter weddings and winter wedding shoots! 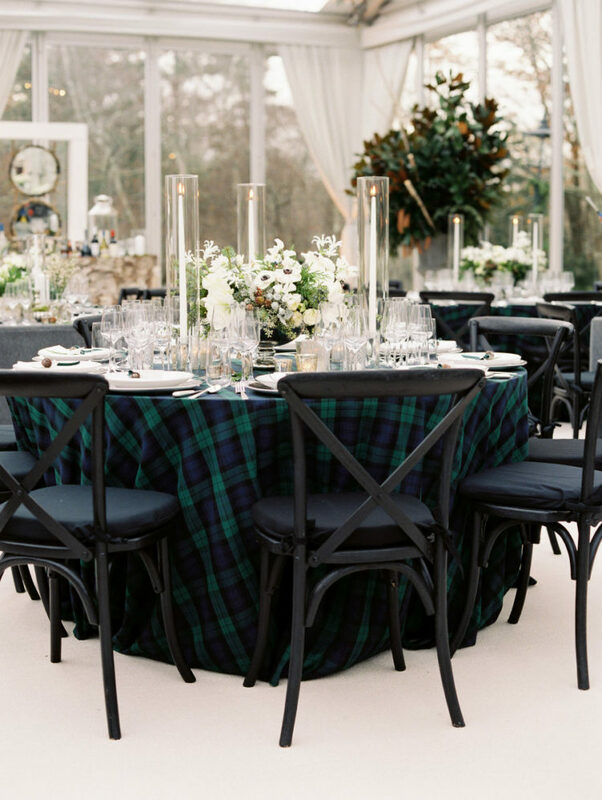 The wedding we are sharing today is winter wonderland one, and it features black watch tartan and grey wool linens that make the wedding stylish and elegant. 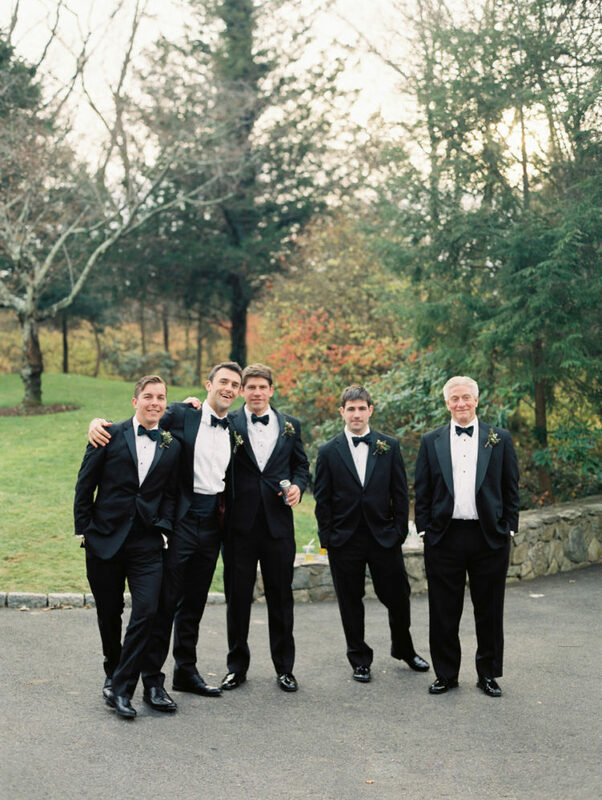 This was a backyard wedding in Greenwich that took place in an extension of the family home. 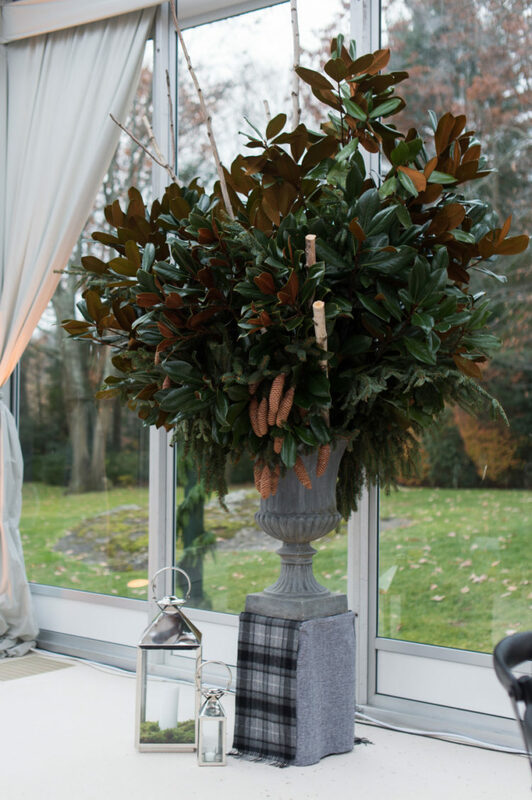 It was organized by True Event and fully embraced the iconic and timeless style of Ralph Lauren. 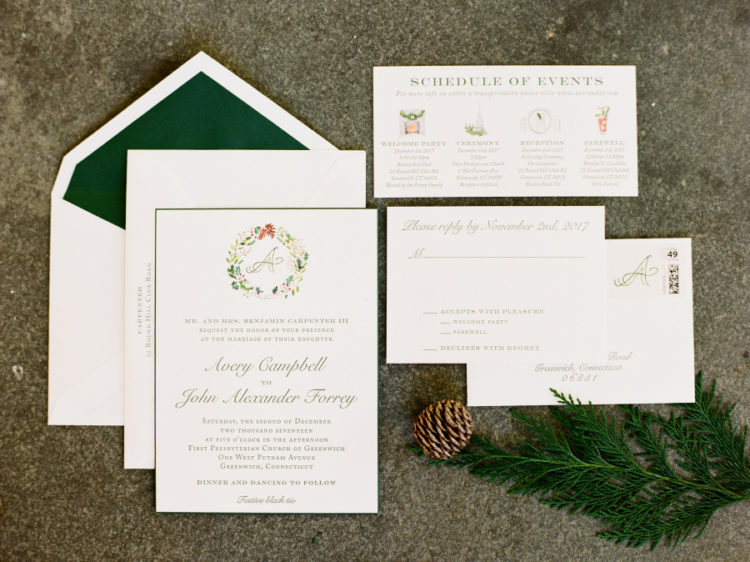 There were elegant florals: white florals mixed with foliage, magnolia leaves, and berries that created a perfect traditional backdrop. 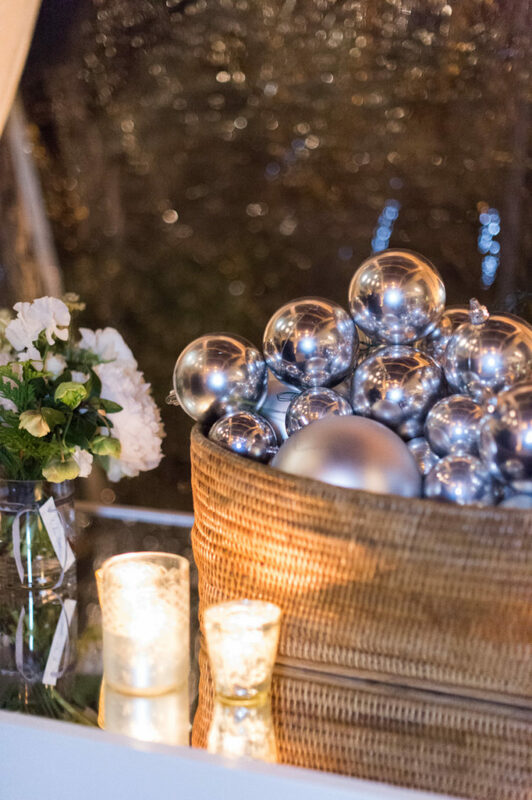 Accents of silver mercury glass, custom birch bars and abundance of warm and cozy candle light made the wedding cozy and intimate. 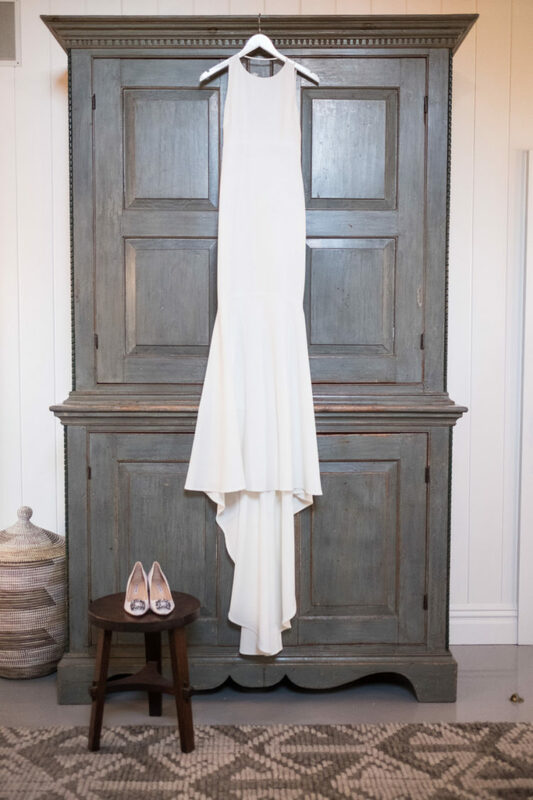 The bride was wearing a chic modern plain halter neckline wedding dress with a mermaid silhouette, a beautiful illusion back and a train plus white Manolo Blahnik shoes. 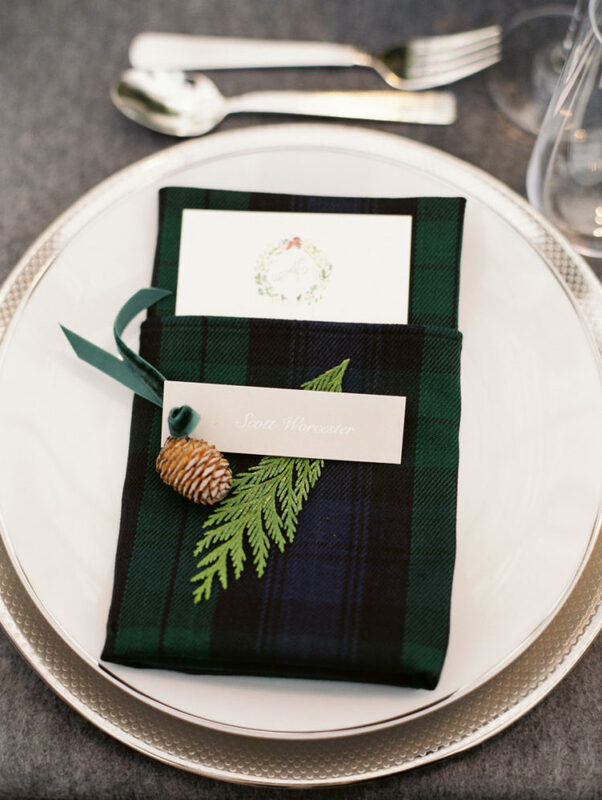 She also added pearl earrings and covered up with a faux fur stole. 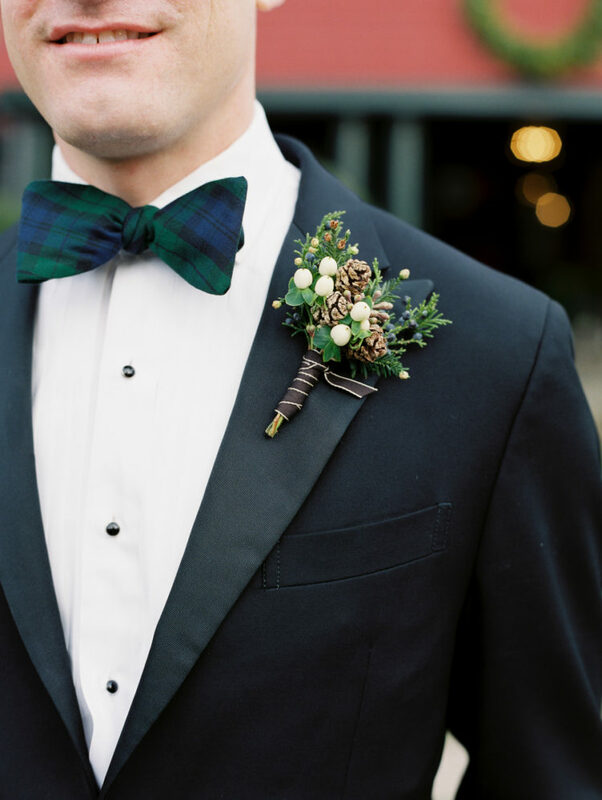 The groom was rocking a black tuxedo with a black watch tartan bow tie and a bold boutonniere. 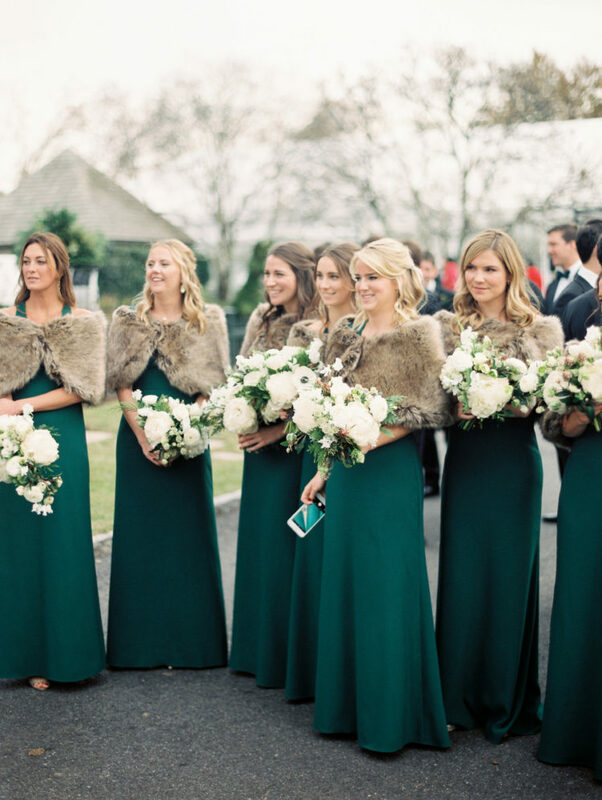 The bridesmaids were in mismatched emerald gowns and covered up with brown faux fur stoles. 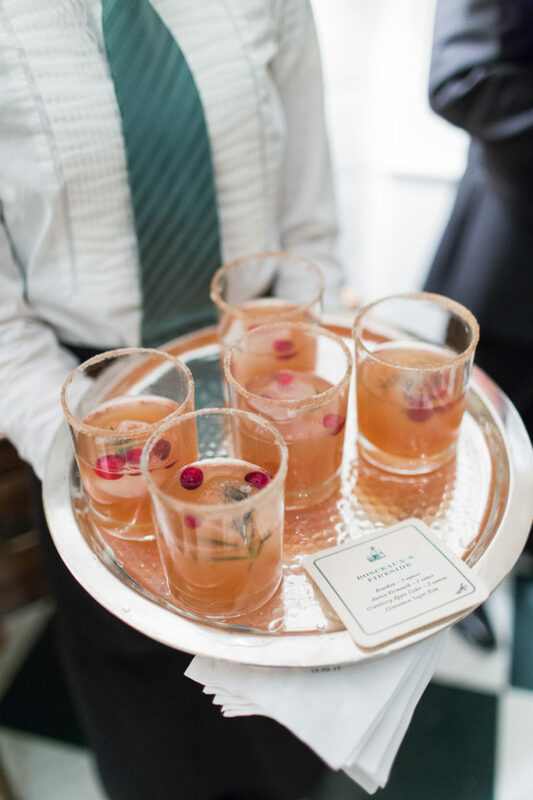 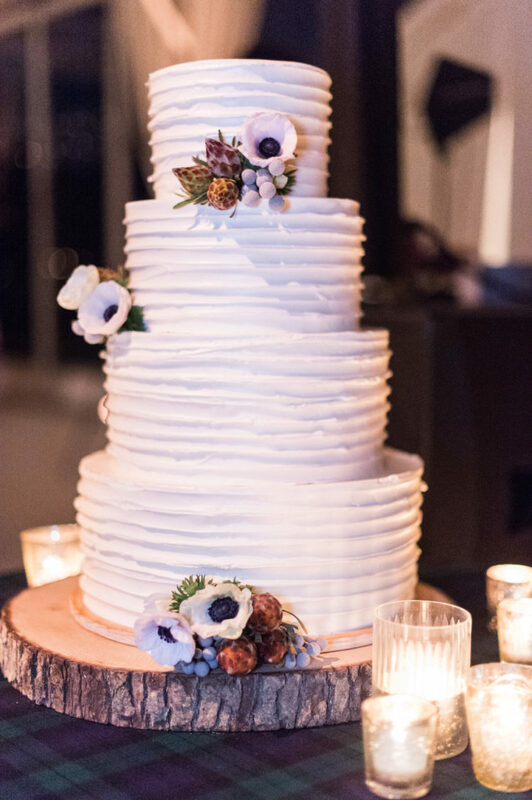 There were custom crafted cocktails with ice cubes filled with cranberries and mint, and the wedding cake was a textural white one topped with fresh blooms. 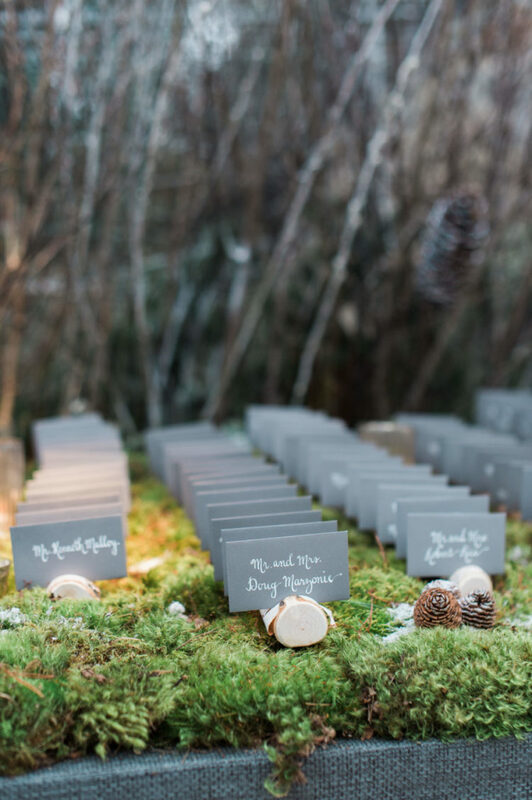 The wedding favors were large metallic Christmas tree ornaments.